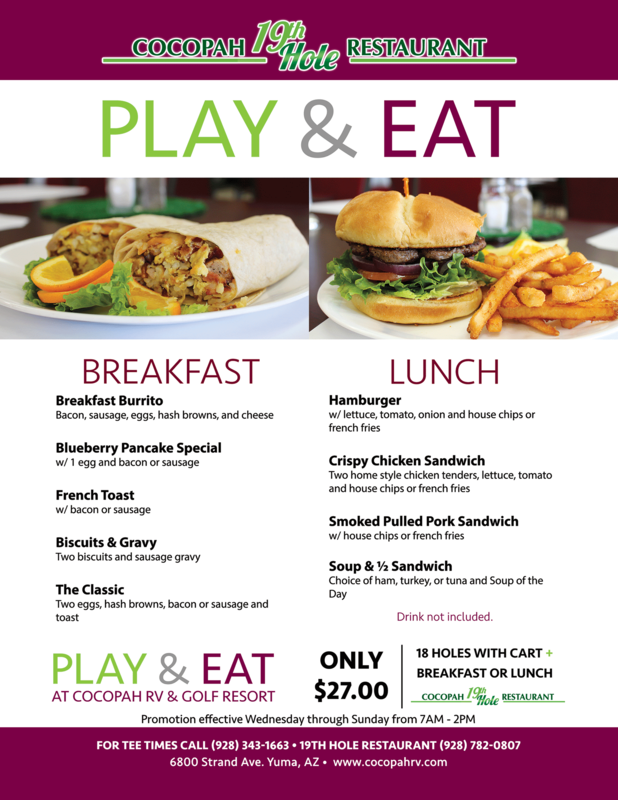 The 19th Hole Restaurant at the Cocopah RV & Golf Resort is waiting for you! 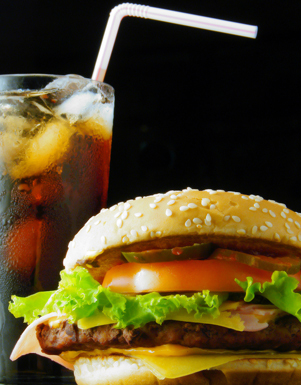 Offering a broad selection of all American favorites and house specialties. The 19th Hole Restaurant is a perfect place to enjoy a leisurely breakfast or lunch after a round of golf with your friends or with your family. There is plenty of space for large groups and gatherings. It is a great place to relax enjoying the view of the 1st hole. Bring your friends and family and join us! !